This topic contains 2 replies, has 2 voices, and was last updated by Zach Messaglia 2 months, 3 weeks ago. Hi, I am the President of the SLU Kayaking Club. John told me to post here when I attended the monthly meeting. 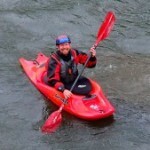 I am looking for an instructor to help uphold a standard of safety, and teach whitewater techniques. We practice in the campus pool located at 3639 Laclede Ave, St. Louis, MO 63108 every Monday from 6-8PM. I have the ACA L2 Instructor Certification and am looking for someone with an L3, L4, or L5 or equivalent certification. My goal is to have the members of the club compete in the MWA championship this spring. We also plan on participating in the indoor slalom this spring. This topic was modified 5 months ago by Zach Messaglia. Thank you for your interest, I will be reaching out to you.